In other words find all the mysql binary log files that are not older than 2 days. I am using mysql binary logs of a server as an example here, but the same might apply to any type of files and folders. if you see the output it magically shows the files wanted. Isn’t that great? Not let’s break it in smaller pieces. 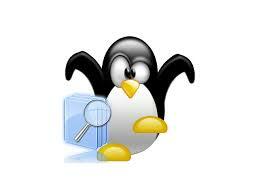 find is the command that says you will try to find something to the OS. then next the path where you want to find stuff. For instance any integer positive number you add here will be the MAX age of the files to find. technically 2 means 3 days, but aside from that is regular find younger than x days. interpretation of file modification times. to have been accessed at least two days ago. Then the last part is just to find by name. -name ‘mysql-bin. *’ any file or directory who’s name starts with mysql-bin., * means wildcard or anything. ctime is creation time in days. mtime is modification time in days. atime is access time in days. amin same as -atime but in days. mtime -3 means younger than 3+1 days. atime 5 means exactly between 5 and 6 days. ctime +4 means older than 4+1 days. Then you can combine statements like ‘-ctime +2 -ctime -4’ which means between those two numbers (remember the +1 so it would be between 3 and 5). And that is all for today. I hope you found it usefull and feel free to comment on any other cool usage for the find command. This entry was posted in Tips by abel. Bookmark the permalink.